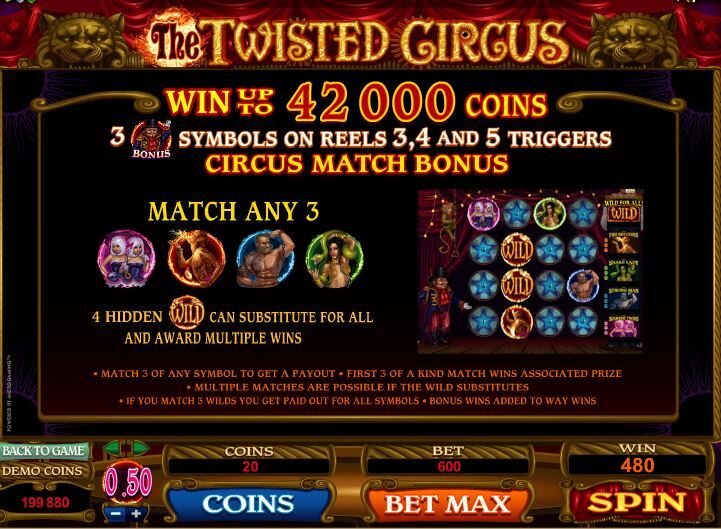 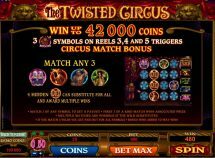 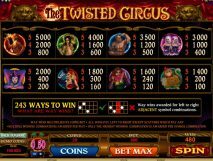 Twisted Circus slot from Microgaming enters the odd world of performers and acrobats and contortionists over its 243 ways and 5 reels. 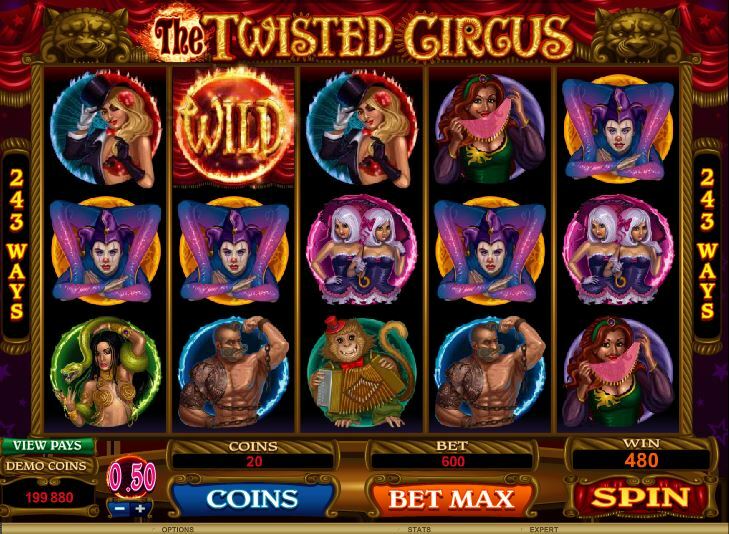 Unlike games such as Thunderstruck 2 the Wilds on all reels offer a sizeable 3x multiplier of wins they form. 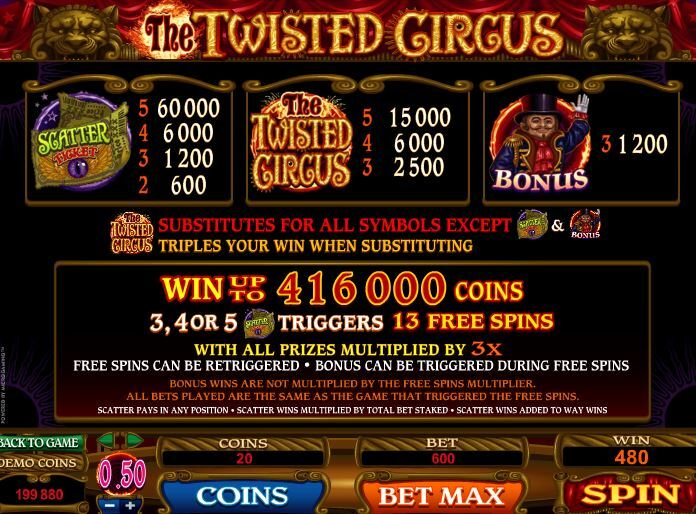 The first bonus feature is triggered by Bonus symbols on reels 3, 4 and 5 and awards a 5×4 board of pick-me where all symbols pay as scatters and there can be up to 4 Wilds revealed too which will then substitute for multiple scatter combinations. 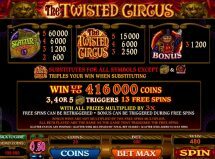 There is a free spins award whereby 3 scatter tickets anywhere trigger 13 free spins which can be retriggered. 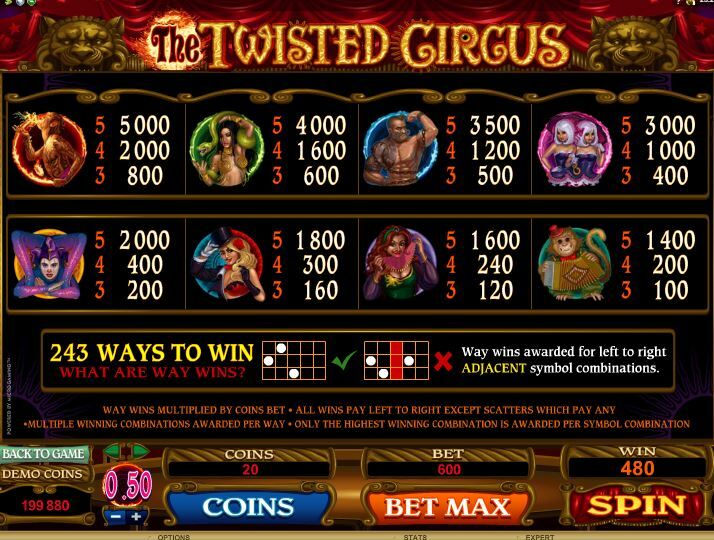 During these all wins pay 3x therefore if Wilds appear they effectively multiply winning combinations by 9! 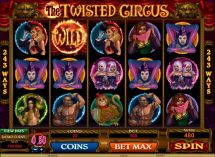 RTP is a jolly eccentric 97%.